and return lines and is therefore part of a closed loop heating circuit. 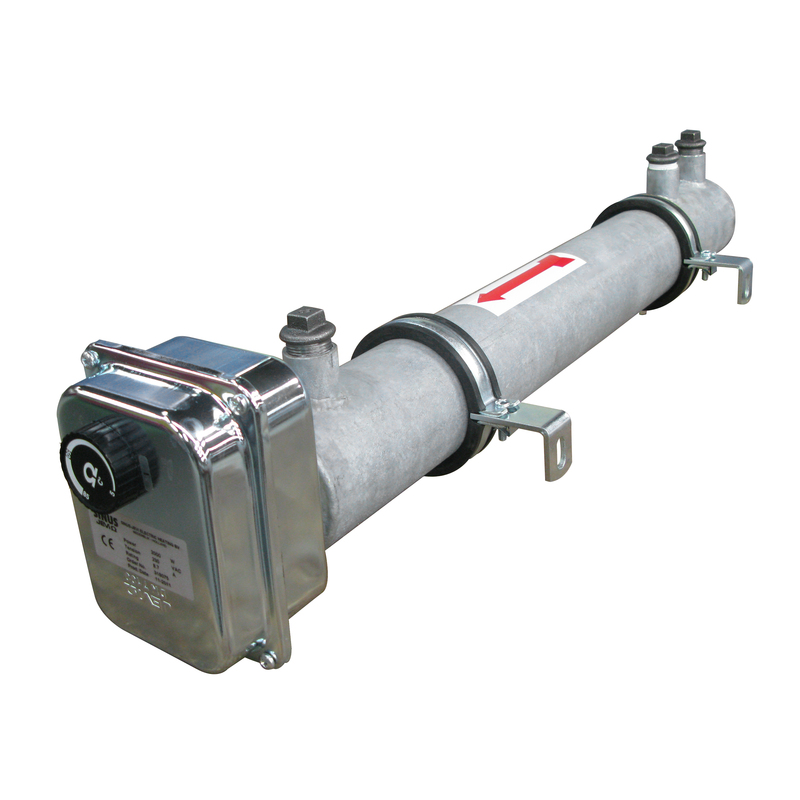 The Flow heater is intended to prevent cooling as a consequence of heat losses of storage tanks and supply- and return lines and is therefore part of a closed loop heating circuit. The Flow heater exists of a stainless steel hull with two exchangeable heating elements.